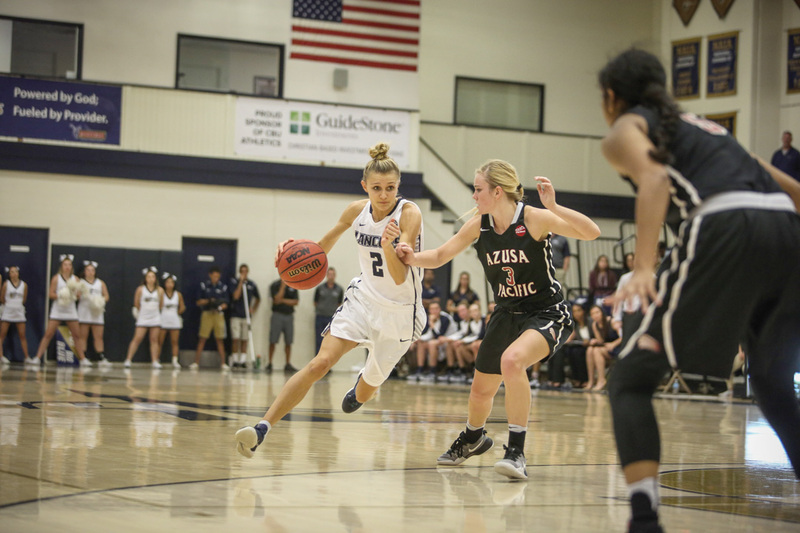 Cassidy Mihalko, California Baptist University alumna, has been nominated for the NCAA Woman of the Year Award for 2017. Mihalko, former guard for the CBU’s women’s basketball team, and 144 other student- athletes have been proposed for this distinguished award by the NCAA. This award honors graduating female athletes who have stood out in all three NCAA divisions when it comes to academics, athletics, service and leadership. Mihalko is the second Lancer to be nominated for this award after women’s swimmer Mary Hanson, who was named one of the Top-30 honorees in 2015. Mihalko said it was a big honor for her to be nominated for this award. “I actually didn’t know the extent of this award at first and I didn’t know that it was across the country and across all three divisions of the NCAA,” Mihalko said. Since graduating in May 2017, Mihalko is continuing to pursue a career in basketball. Jarrod Olson, head coach of women’s basketball, said Mihalko being nominated for this award is a great honor. In early September, the Top-30 honorees will be announced with 10 women from each division in the NCAA. The Top-30 honorees will be honored Oct. 22 at an annual banquet in Indianapolis. By the end of September, the NCAA will select nine finalists with three from each division. The women’s and men’s basketball teams will kick off their seasons Nov. 10 against California State University, San Marcos, and California State University, Dominguez Hills, respectively.